He was born in 1954 in Şirnex (Şırnak) Province. He graduated from the Training Institute of Bolu. His first published poem appeared in 1979 in Tîrêj, the first magazine in Turkey in the Kurmanjî and Zazaki dialects of Kurdish. His poems and writings have been published in many Kurdish magazines and papers such as Nûbûn, Nûdem, Jiyana Rewşen, Nûbihar,and others. In the years of 1998 and 1999, he was awarded with the first and second prizes in the poetry competitions organized by The Association of the Families of Prisoners and the Convicted and the literary magazine, Jiyana Rewşen. 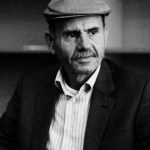 In 1999, he established Kulîna Kulîlkan, the first literary web site in Kurdish in Northern Kurdistan, which published four issues. In the same year, he started to write columns in Kurdish for the newspaper Fıratta Yaşam. In 2013, he was a literature columnist for the newspaper Evrensel. His poems have been translated into Turkish, Arabic, Persian and French for various periodicals, and they have been published, anthologized, and broadcast on the Kurdish TV channels Medya TV, Roj TV and Gün TV, the German radio station WDR and the Australian radio station SBS. He has attended many conferences, panel discussions and seminars at Bilgi University, Hakkari University, and many non-governmental organizations. Bereh keeps on writing for magazines and newspapers published in Kurdish.